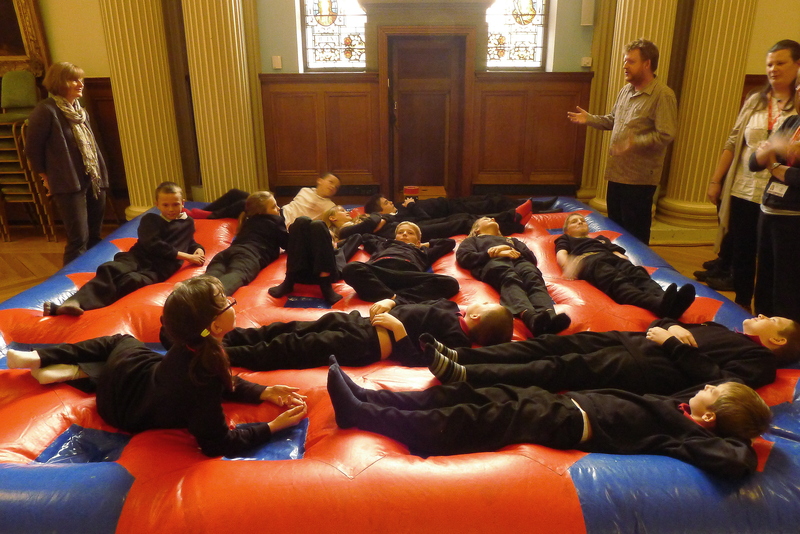 In November 2014 a Year 6 group from Cherry Tree Primary School in Colchester came down to the Town Hall for the first very special ‘Build an Organ’ workshop with sound artist and composer Duncan Chapman and visual artist Willow Mitchell. The organ itself had been removed from the Moot Hall and taken up to Durham to be carefully restored by the organ builders Harrison & Harrison. However, Duncan had the perfect replacement to demonstrate how the organ works – a huge inflatable mattress and series of pipes from other organs around the country! 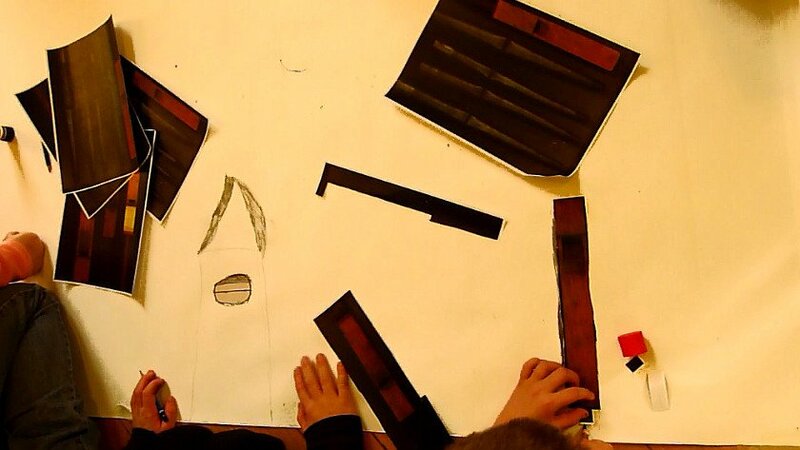 After talking about the organ’s role in Colchester’s history and discussing how the organ works by storing and releasing air through specially shaped pipes, the children set about constructing their own ‘giant organ’ by connecting a collection of pipes of all shapes and sizes to the inflatable. The inflatable was blown up – being careful not to let any air escape – before ‘pulling out all the stops’ and listening to the sounds made as the air rushed out through the pipes. Next, Willow took over with a creative group drawing exercise for the children to create their own organ and try and visualise some of the sounds they heard escaping from the pipes. Thanks to Year 6 from Cherry Tree Primary School and your teachers, and we hope to see you again in 2015.